Who wouldn’t want this baby Type R? As far as mainstream automakers go, Honda’s current lineup is pretty darn fun to drive. You don’t even have to spring for the Si or Type R to enjoy driving the Civic, and it’s almost impossible to not have a great time behind the wheel of the 2.0-liter Accord Sport. Heck, even the Fit is pretty sporty. But despite all of that, we’re still going to complain about the fact there’s no chance Honda will bring this tiny hot hatch concept to the U.S. Revealed this week at the Indonesia International Motor Show, the diminutive concept in question is called the Small RS. According to Autocar India, it’s most likely a lightly disguised version of the next-generation Honda Brio, a city car sold throughout the Asia Pacific region. But to our American eyes, it looks like the Civic Type R got put in the dryer and shrunk down to an adorable size. And while it’s still identifiable as a modern Honda, we think we like the styling even better than the aggressively in-your-face Civic. 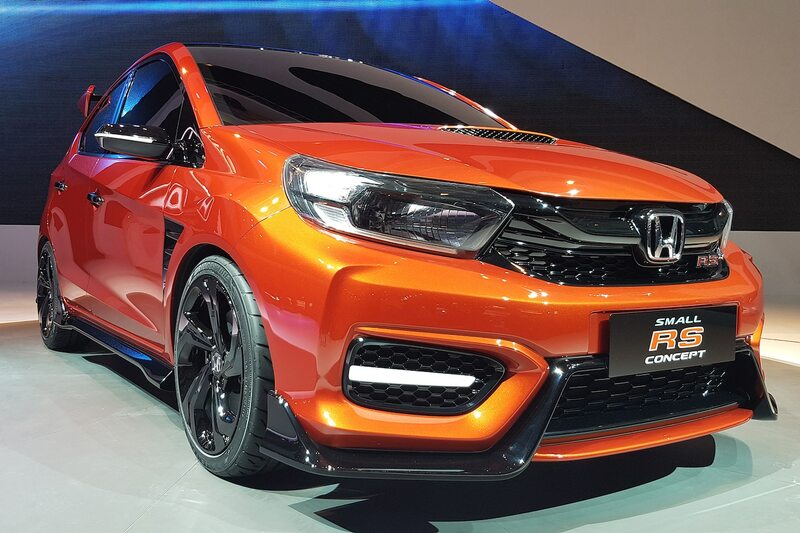 According to a Google-translated release from Honda Indonesia, the Small RS “features a sporty, stylish exterior design in accordance with Honda’s DNA in a small car platform that can be used for everyday activities for young-minded consumers while offering a sporty driving experience.” It also “represents Honda’s vision of how a small sports car should be.” With its large wing, hood scoop, and aerodynamic body kit, we agree. This thing looks like an absolute hoot. We haven’t been able to find what kind of engine the Small RS uses, but as a concept likely built to get potential customers excited about an upcoming city car, it may not have one. Still, we can only hope the local reception is positive enough to convince Honda to actually put it into production. Even if the U.S. won’t ever get the Small RS (or even a Fit Type R), enthusiasts in the Asia Pacific region deserve to enjoy this baby Type R.